Join us for a family-friendly nature walk! The walk departs from the Blackstone Valley Visitor Center on 295 in Lincoln, RI and explores the trail leading down to the Captain Wilbur Kelly House in the Blackstone River State Park. Learn more about the plants and animals that live in the park as well as the glaciers that created the river valley. 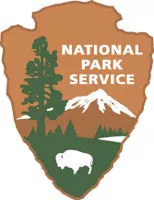 Questions: For Questions about this event, please contact Kevin Klyberg with Blackstone River Valley National Historical Park at 4017258638 or kevin_klyberg@nps.gov.